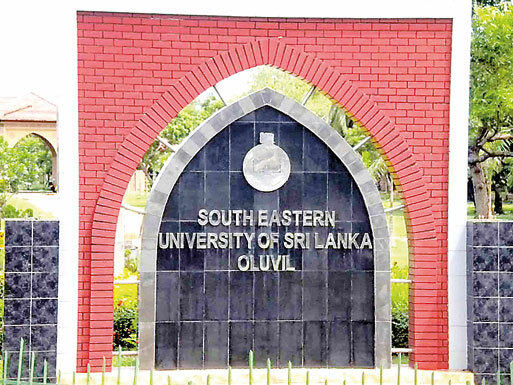 The second and third-year undergrads of the South Eastern University of Sri Lanka (SEUSL) in Oluvil, are in despair, due to the unresolved issue of their accommodation. These students have been informed that their accommodation within the university premises will be discontinued this year, to make room for the 2013 intake. �The students said that they have been notified by the university authorities that tenders have been called for undergrad accommodation, on rent, in houses in the Akkaraipattu, Kalmunai, Ampara and Samanthurai areas. According to students, their safety in such places can’t be guaranteed and hence students hailing from Colombo, Kandy, Galle, Matara, Hambantota and Nuwara Eliya face serious difficulties in finding suitable lodging. The students further explained that even though the university administration guarantees their safety within these places, students who are Mahapola Scholarship recipients can’t afford to reside outside the university, due to the cost of travel and cost of utilities such as electricity and water, in these external residences. 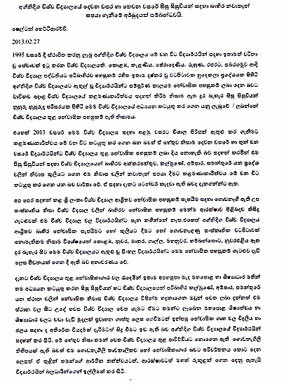 The desperate students of SEUSL have written to the President highlighting their grievances. The letter states that the university administration has taken this decision disregarding the availability of buildings within the university premises which can be converted to hostels, permanently or temporarily. “The administration is forcing us to find accommodation outside, which is highly inconvenient, as the university is located in an isolated area, and we are unable to bear the cost of travelling and lodging,”the letter said. The letter states that even though there are many shortcomings in the existing hostels and even within the university, the university administration ignores them, while conveniently refraining from bringing them to the notice of the relevant authorities for necessary action. �The students’ parents are now reluctant to send them to this university in the absence of assurances for the safety of their children. The students complained that arrangements for the President’s last visit to the university, was such that the students were not allowed to meet the President, while all events organised by the students were cancelled. �An official from the university administrative staff told the Sunday Times that the authorities were compelled to take this decision, as they were requested by the University Grants Commission to increase the intake for this year, but the plan has not been implemented yet.